Solved: How do I find out what links to a page? I need to know what page or pages link to a particular page. In Mediawiki it's called "what links here". Any ideas? I cannot find anything about this in docs or forums. Hi, I found that by default refinedwiki disables the View->Info link. 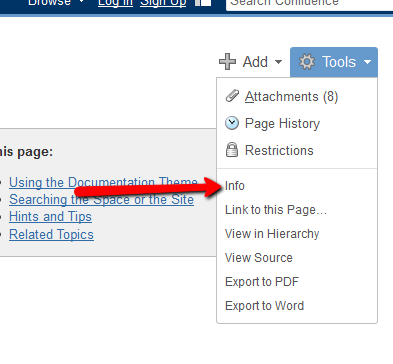 You have to log in as Admin, go to the Confluence Administration->Menus and Tabs, click the Content "Tools" Menu Items then Secondary, and enable the View Info Link item. Click Save Changes at the bottom of the Menus and Tabs page. Log out and log in again. Voila! the Info link is there, and the Info page shows the incoming and outgoing links. On the "Tools" menu of a page, if you click on the "Info" link you will get a page that includes information about other wiki pages that link to this page. Hi Joseph, thanks! I do not see that option on my pages (even as Admin). Is this a 4.0-only feature? 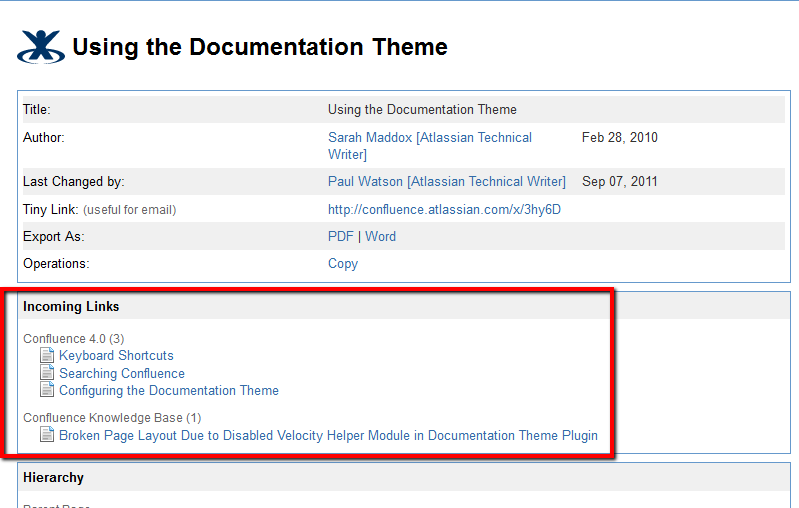 What version of Confluence are you running, and do you have any custom themes in use? You could consider giving feedback in JIRA issue https://jira.atlassian.com/browse/CONF-35218.